oh yes, that’s right, it’s me, someone who should be doing regular blog post etc etc, well, er that is a big fail on that! I have plenty of excuses but I shall not bore you with that, instead I will not remember any of the funny things I had saved up to blog about! So I will try to do that later (hahahahahahah!) and instead, this is one of the reasons I have been so quiet! A busy table is a very good reason to be blogging less, not an excuse at all! 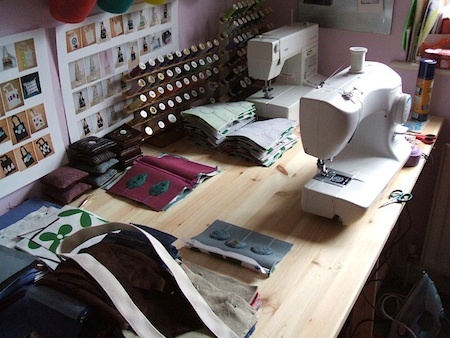 You’re making me think I need to spend the rest of my day at my sewing machine…. Hey, I always feel guilty for not updating my blog more often but you know what I long since concluded you post when your good and ready, and I always find by then I have something interesting to say, or a really nice image to blog about. hello, your blog is lovely, I like it a lot ! come and see mine !